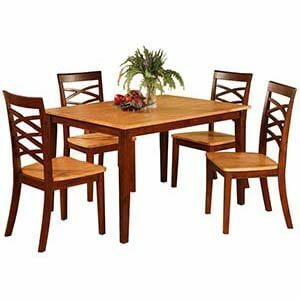 Another fine presentation from the modern decor collection. 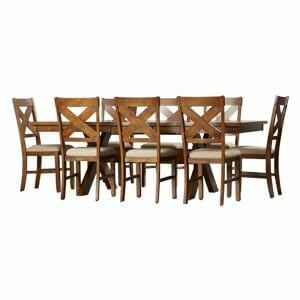 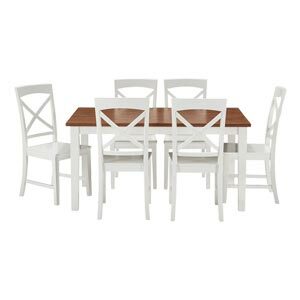 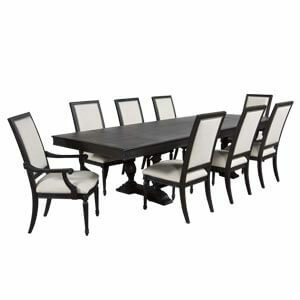 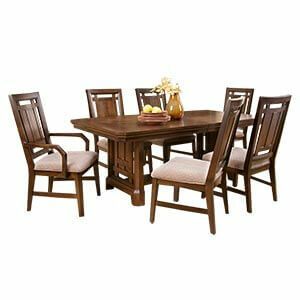 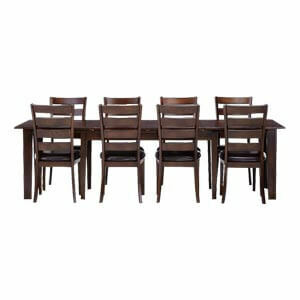 This six seater dining set ushers in an element of sophistication when arranged with your home d?cor. 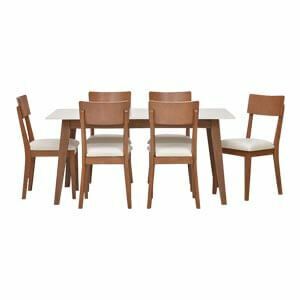 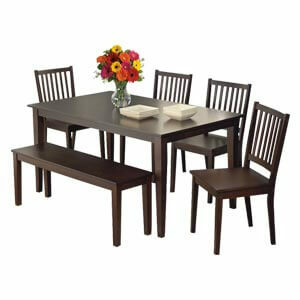 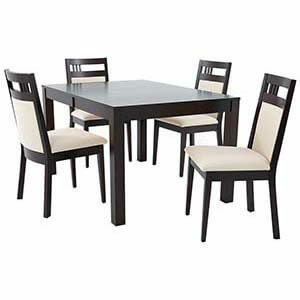 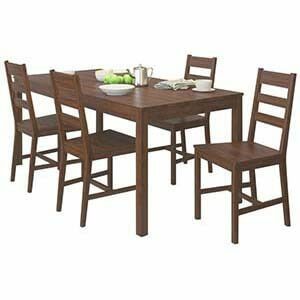 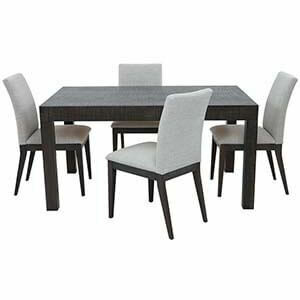 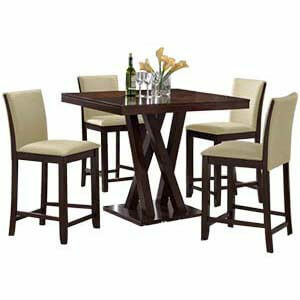 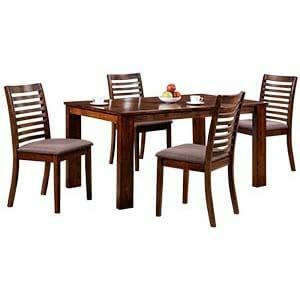 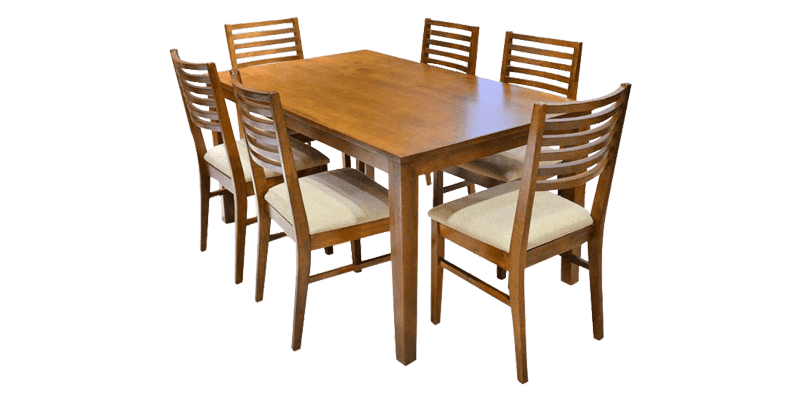 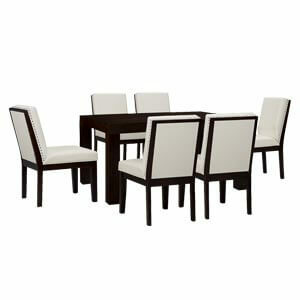 Featuring a laminated table top, it comes with six fabric upholstered chairs having horizontal slats. 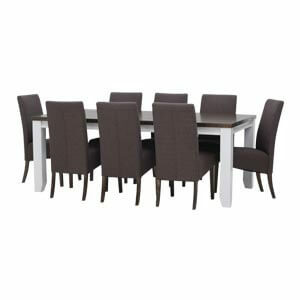 One can expect each unit to be unique as they are handmade.